Logan Wort is the Executive Secretary of the African Tax Administration Forum (ATAF), an African inter-governmental organisation leading tax administration reform and facilitates the cooperation among tax administrations in mobilising greater domestic resources and to improve their effectiveness and efficiency. His responsibilities as Chief Executive include providing strategic leadership and managing the business of the organisation. As Executive Secretary, he is the legal representative and chief accounting officer of ATAF. Under his stewardship, ATAF has inter alia produced the first study on Good Tax Governance in Africa, conducted a comprehensive Study on Reform Priorities of African Tax Administrations, launched the African Executive Masters Degree in Taxation (EMT) Programme, and delivered technical training to more than thousand African tax officials through the ATAF Capacity Development Programme. Not only is Mr Wort an ex officio member of the ATAF Council, he is inter alia also a member of the Consortium and High Level Panel to Stem Illicit Financial Flows from Africa as well as serving on the OECD Task Force for Tax and Development. Other key deliverables include setting up a Technical Assistance Facility and the publication of the first African Tax Outlook (ATO). 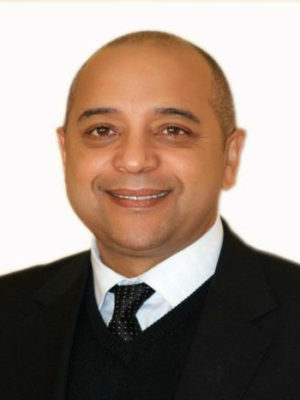 Prior to taking up the position of ATAF Executive Secretary, he served as Group Executive at the South African Revenue Service, Deputy Director General at the South African National Treasury, Spokesman for the South African Finance Ministry and the Director of the Southern African Development Community (SADC) Finance and Investment Sector Co-ordinating Unit (FISCU). Logan Wort was born in Cape Town, South Africa and holds a Bachelor of Arts Degree in Political Science and Sociology, and a Master’s Degree in Public Administration from the University of the Western Cape.